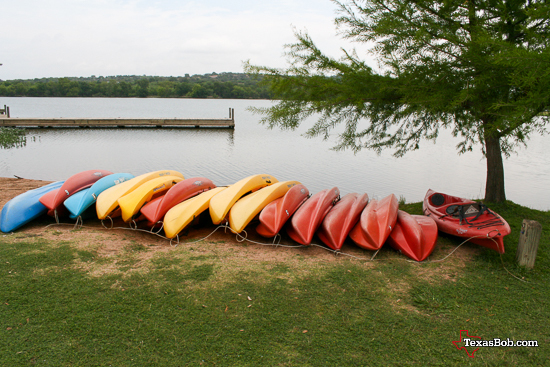 Inks Lake State Park is a real jewel. 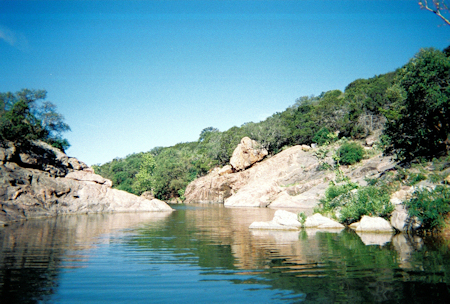 Inks Lake is the second in a string of seven lakes on the lower Colorado River. 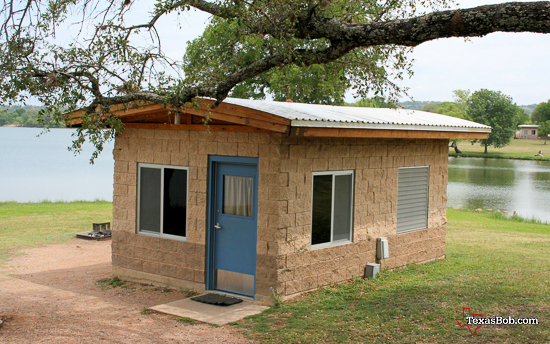 Where Lake Buchanan stops Inks Lake starts. I've be coming here for years. On this trip I decided to try something new. I've sailed my Day Sailor on this lake, I've skied this lake but I've never been in a canoe in my life. Being novices we were prepared to turn the boat over. I wasn't carrying anything that would matter if it got wet. 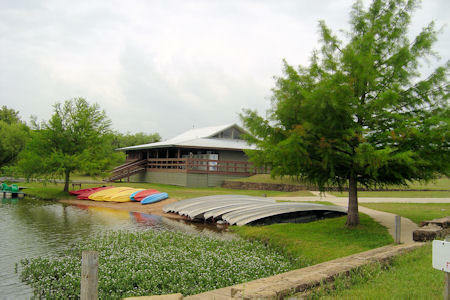 We arrived at the camp store to get our canoe, buy a water proof disposable camera and a couple of bottles of water. The rental price was very reasonable. $10.00 for an hour or $25.00 dollars for four hours. It was not crowded, they just pointed us to the boat room and we picked out our paddles, PFC's (personal floatation device) and headed down to the water to pick out and launch our canoe. Getting in and launching our canoe was the most challenging task. I thought we were going to get wet right there at the dock. We cruised up the inlet for about an hour, bird and turtle watching. 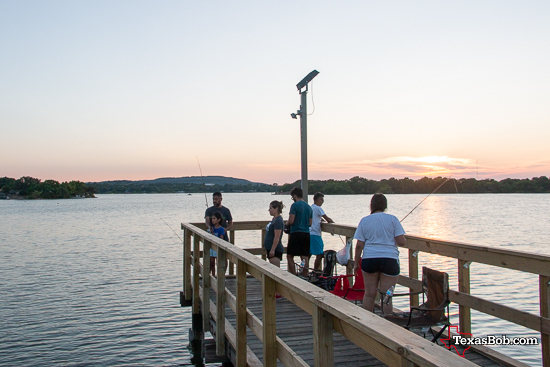 Then we came back to the dock for a short break and another camera, then went down the inlet for about an hour. the weather was perfect and we didn't get wet at all. Currently there are no full hook-up RV campsites in the park. However a little bunny told me that was going to change.